Linda J. from Lima, Ohio is a textbook example of how an employer and its representative sometimes just go out of their way to jerk someone around. Linda worked part-time at a department store whose name you’d recognize. She used her office chair as a stepladder to get something off a shelf when she lost her balance and fell, cracking her head on the concrete floor. The most serious residual of her accident was the closed head injury that ultimately degenerated into a diagnosis of “pre-senile dementia, post-concussion syndrome and anxiety”. Not surprisingly, she was ultimately granted permanent total disability in her claim. What’s more surprising is the personal animosity with which the employer’s defense attorney pursued this case. After one hearing before the Commissioners themselves at which the employer had disputed recognition of psychological conditions on procedural grounds, their attorney walked out of the hearing and presented me with a copy of the defense medical report he previously said he hadn’t yet received—the defense doctor had agreed with our position 100%! (We won the hearing, by the way). More outrageous was how the employer and its attorney continued to harass Linda and her husband after permanent total disability had been awarded. Linda’s husband Ed had pastored a church in the Lima area for more than 20 years. During that time, as the pastor’s wife and a gifted pianist, Linda had accompanied the choir during worship services. After her injury, and at the recommendation of her counselor, she would play hymns she knew from memory and a lifetime of praising God. She would only fill in for the regular keyboardist every third week or so… but she felt safe as part of a congregation of people who loved and supported her through so much. One day, the employer’s attorney arranged for a private investigator to infiltrate the service to get video of Linda playing the piano. Although he ultimately ran off from the service, his tires throwing gravel from the church parking lot like something out of “Dukes of Hazzard” when approached by members of the church, the employer filed a motion with the video and statements from the investigator, asking that Linda’s permanent total disability benefits be stopped. They argued that, if she could play the piano in church, she could certainly find work as a musician somewhere!! The hearing, as the MasterCard commercials say, was priceless. Conducted in Lima before a senior hearing officer of the Industrial Commission, the defense attorney (himself a former hearing officer) was humiliated. In a 3 page, single-spaced order, the Industrial Commission found that not only was the investigator’s statement inaccurate and unsigned but that he had actually videotaped the wrong person in the service playing the piano! (Ah, some moments are to be savored and this was one…). 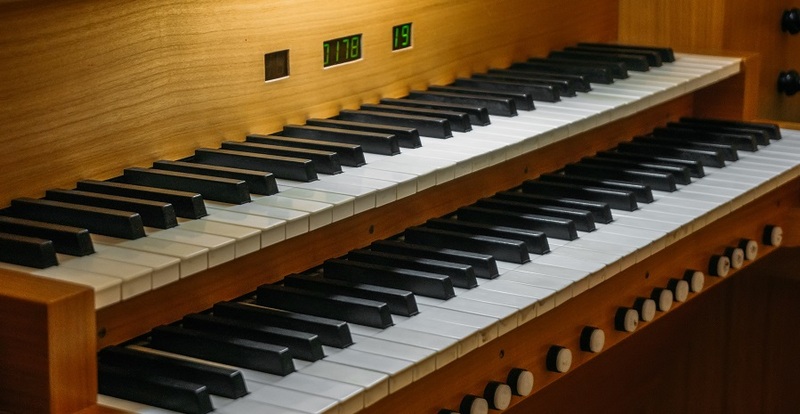 He also found that playing hymns memorized since childhood for 20 minutes every third Sunday was therapeutic for Linda and in no way constituted work activity such that PTD benefits should be terminated. As he said, this did not qualify her to play at Carnegie Hall. As an aside, the defense attorney in this case previously had a father-in-law who was a pastor—I am convinced that he particularly relished trying to make life miserable for Linda and Ed out of bad feelings toward his former wife’s dad. In any event, after the humiliation in front of the Industrial Commission, the wind seems to have gone out of the defense attorney’s sails as he hasn’t pestered them further. I also want to report that it is rare I see people go through such persecution with as much grace as Linda and Ed. They have truly lived out and modeled their faith through very difficult circumstances.